Product #16061 | SKU IC501130 | 0.0 (no ratings yet) Thanks for your rating! 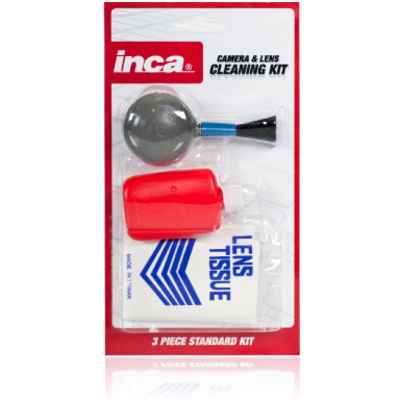 The Inca Lens Cleaning Kit is a must for anyone who takes their optics seriously. This kit helps keep your lenses and other valuable optics in tip-top shape and free from fingerprints, smudges and other environmental contaminants.